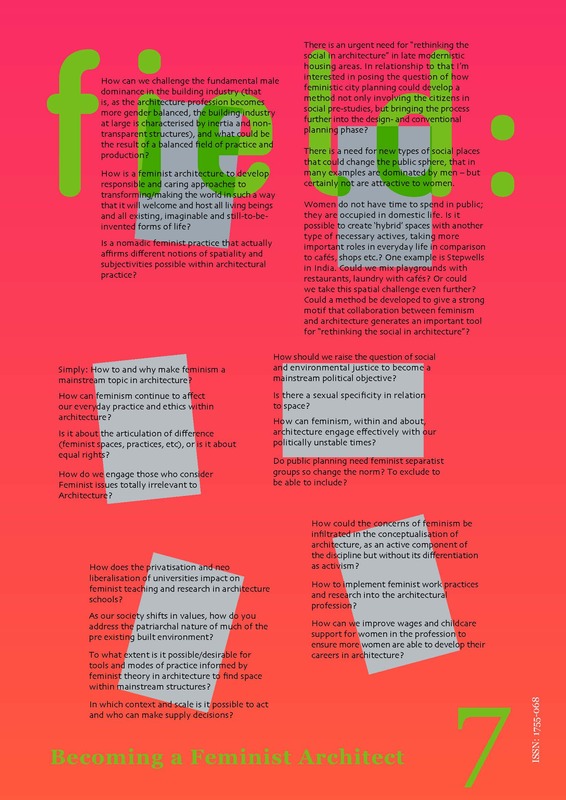 Field: journal – field: the free journal for the discussion of critical, theoretical, political and playful perspectives on all aspects of architecture. Welcome to field: the free journal for the discussion of critical, theoretical, political and playful perspectives on all aspects of architecture. field: is an international peer-reviewed journal and an open electronic forum. It was established to make architectural discourse and research available to, and aware of, the widest possible field. We are committed to being open and free with regards to our process and structure. field: plans to produce special issues devoted to particular themes with guest editors. Submissions are invited. (See journal pages ‘How to submit’).